Velázquez secures bill to assist PR Education Dept. 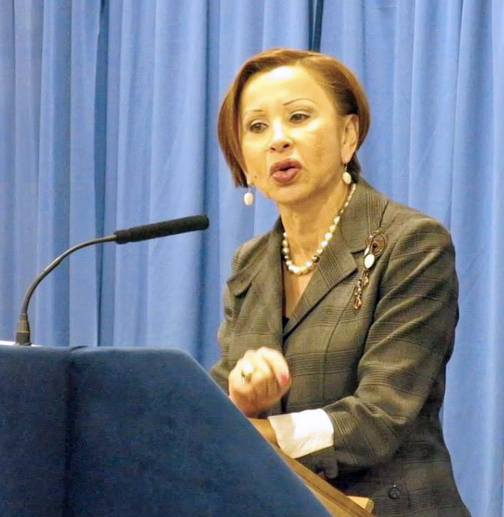 Through the annual appropriations process, Rep. Nydia M. Velázquez (D-NY) has secured language directing the Department of Education, to work closely with Puerto Rico to identify and address technical assistance needs, her office announced. This step will enhance the federal government’s role in assisting the people of Puerto Rico. Velázquez was instrumental in urging the Department of Education to provide technical assistance to Puerto Rico during this year’s appropriations process. In the annual report for the Labor, Health and Human Services, Education Appropriations, Velázquez secured language directing the Department of Education, to work closely with Puerto Rico to identify and address technical assistance needs. Such support includes improving understanding of the federal contracting process, grants management, budgeting and budget impact analysis, and harnessing government data. As a member of the House Appropriations Committee, Congressman José Serrano (D-NY) also played an instrumental role in urging other federal agencies to assist Puerto Rico. Hey Buddy!, I found this information for you: "Velázquez secures bill to assist PR Education Dept.". Here is the website link: https://newsismybusiness.com/velazquez-secures-education/. Thank you.